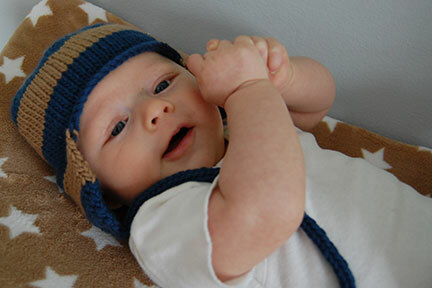 My friend from high school, Crystal, made this hat for Ivar. I adore it. It's so sweet and I love that it has ear flaps. Ivar loves it too. 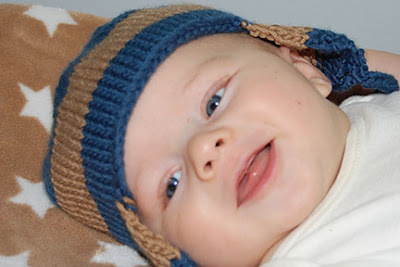 He can grab things now and is a fan of putting whatever he was able to grasp into his mouth, so the strings on this hat keep him really busy. My sister-in-law, Sara, made these little slippers for him. They are so stinking cute and STAY ON HIS FEET! 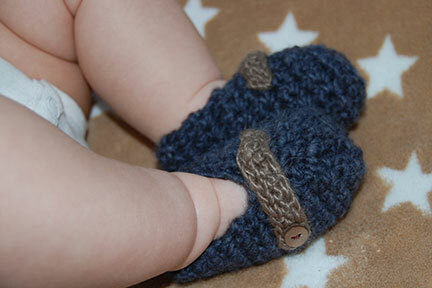 A serious bonus in baby footwear. 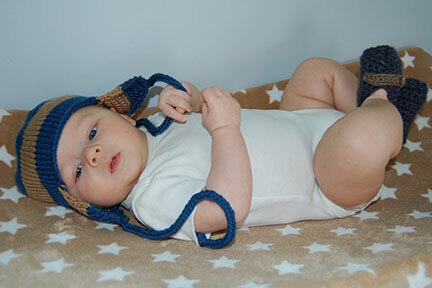 oh, what fabulous handmade gifts for Ivar! he is adorable! i miss him. and you. Seriously so so cute. All of it. But especially the chubby sweet baby. Mwah - I just want to kiss and squeeze him!